** spoiler alert ** The first book I read of Susanna Kearsley's was 'The Winter Sea.' It was instant fandom for me and I promptly devoured everything else she'd written to that date. No surprise then that I waited eagerly for the release of her latest novel, 'Bellewether.' Written in dual timeline format, I found the older timeline far more compelling than the current one. Why is that so often the case?? I love old houses and the history behind them so having the house be a big part of the story was also a very appealing aspect of the book. Btw, the 'Haunted Houses' poem by Henry Wadsworth Longfellow was a masterful way to prefix the story! I'm also always curious how a book gets its title but was surprised (for some reason??) 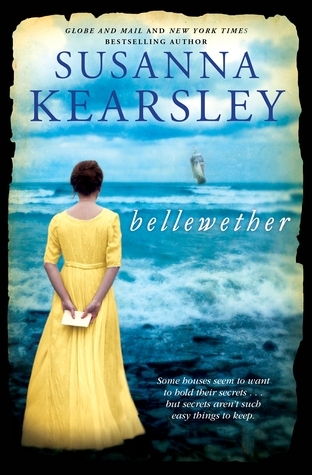 when we learned halfway thru, that 'Bellewether' was the name of a ship! I guess the cover should have clued me in. As usual (with me) and historical fiction, I learned so much from the book. I had never heard of & had no idea there was such a thing as 'Parole of Honor.' I can't imagine that concept working in today's world when, so often, a mans word no longer means anything. In the 1700's tho, it seemed an efficient way to keep from filling prisons even if it imposed on the good will of the colonists. It was interesting to read about the Seven Year War plus get a refresher on the taxation issues (by the British on the Colonies) that was a precursor to the Revolutionary War. I also enjoyed that the story was told from three POV ~ Jean-Philippe (the French 'Parole of Honor' prisoner), Lydia Wilde and Charley (current curator of the Wilde Family museum.) The romance in both timelines was believable and slow building. Based upon watching, experiencing & respecting the character and morals of each other instead of any kind of instant (superficial) attraction. The twist at the end made me very happy. There's a bit of the paranormal in the book, an aspect I like about Susanna Kearsleys work. It's fascinating to think of the DNA imprint of an ancestor lingering into the future. Makes you think about what your own personal impact will be... Something that will forever stick with me was Lydia's mother, Patience, telling her to place each of her troubles atop a wave and watch them roll away. I love that method of lightening your burdens & if I ever get to the ocean again, I plan to try it out. The Authors notes, at the end of the book, made it more meaningful when you realize it's such a personal story ~ that there's a piece of her own family history built into the pages. A very enjoyable read, just as I've come to expect from Susanna Kearsley!! 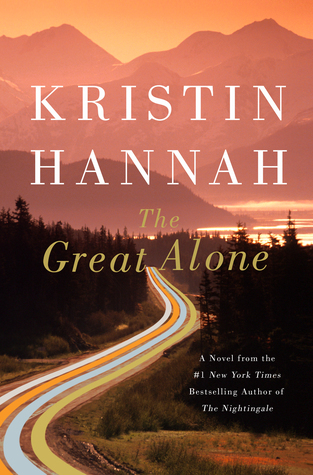 I confess I added 'The Great Alone' to my wtr list solely because I'm a fan of Kristin Hannah. I have zero romantic notions about Alaska or even the slightest interest in experiencing its wildness. I know myself well enough to say I'm not someone who has the heart or survival skills for it. After finishing this book, I'm sure the people that live there wouldn't want me in their state either!! It's not a land for weaklings or the faint-hearted. Not sure which of those categories I fall into, I just know I don't possess the necessary pioneering spirit. Having said all that, it was interesting to read about our countries last "frontier" and it's non-conformist population. The author did an outstanding job conveying the realities of living there. The long, dark, difficult winters followed by short but spectacular summers. Summers that can't be enjoyed despite enduring the winter. It's the season for natives to work twice as hard to make sure they can survive the next winter. It was mentioned several times that you can make one mistake there then the next one will kill you. The reader is left in no doubt it's a (beyond) harsh environment that takes a specific personality to inhabit it. I was pulled into the story despite the fact it's not a life that appeals to me. I don't usually care to read about domestic violence (of which there's plenty within these pages) & I couldn't see myself in any scenario depicted but I enjoyed the book nevertheless. It will never be my favorite Kristin Hannah book but that's purely subjective, not anything against her incredible storytelling abilities. I think the garden is as exhausted by our sweltering summer as I am. 15 days above 90 degrees in a month where temperatures are usually pleasant, has done it in. Above: front garden = tired & messy. The only thing really thriving are the Nasturtiums. Most of the perennials are heat weary and if I could guess, more than ready for a rest. I know they'll only get better from this year forward. It's been a rebuilding year for me since I removed two overgrown evergreens last fall. The voids left, created two huge spaces to re-design & fill. At first it was an exciting prospect, but the front border has been decidedly harder for me to pull together than the back. Something I'll keep contemplating over the upcoming winter. It was interesting what randomly popped up (out front) in the empty space left behind. 'Kiss Me Over the Garden Gate' (Polygonum orientale) must have germinated from seeds left dormant from several summers ago. I sure didn't sow them but I hope they seed around some more! Also 'Lauren's Grape' poppies showed up in profusion. And purple Larkspur "magically" appeared as well. Dahlia 'Yellow Bird' (not a surprise, planted in early summer) performed underwhelmingly. I'm also still waiting on a few other (dinnerplate) Dahlias to bloom that I'm not even sure will make it before frost hits. In late August, I finally started seeing a few Monarchs. They really like my 'Honeycomb' Buddleia. Sadly, I haven't had caterpillars on my milkweed for several years now. I suspect because my plants keep having infestations of Milkweed aphids. Try as I might, I can't seem to get rid of them. Now I'm slowly getting the garden ready for Fall. I pulled up the sunflowers, cut & collected the heads & put them all in a basket for the birds. At least those were my intentions ~ but I don't think the birds got a single seed ~ every time I looked, squirrels were carting them off. They didn't stop until they'd hauled them all away. ** spoiler alert ** What a haunting story. 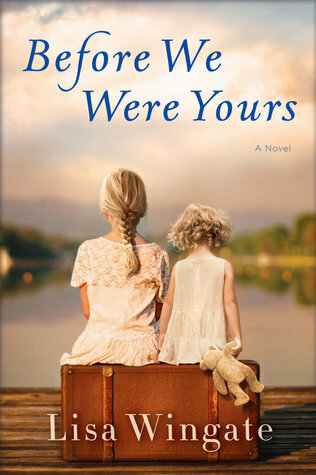 Although it's fiction, the heartbreak comes from knowing the author based it on real accounts from orphans who survived the cesspool that was called the Tennessee Children's Home Society. I can only think of it as a first rate criminal racket, created by Georgia Tann ~ and even after her death, protected by the powerful & privileged people who benefited from her actions. The methods by which she obtained babies & children were atrocious. I can't imagine the psychological damage that was inflicted on the children old enough to realize what was happening to them & the biological parents who had them taken away. It's crazy this went on for decades without being exposed. Another example of how the less fortunate are not protected by the same rights as those with "means." In the book, all the children suffer tremendously but poor Rill (as the oldest of the five children) gets it the worst. She takes to heart her father's words "to look out for the younger ones," even tho that's a request above and beyond her age & ability. The pressure & guilt of that responsibility are tremendous for a child of 12. You feel her desperation and despondence every time a sibling is taken away. The worst was what happened with feisty Camellia tho. That just turned my stomach. I have no doubt there was some creep exactly like Riggs lurking around the Homes. That he went unpunished was also a gross injustice. The thought of how many kids he abused curdles my stomach. In the end, it was profound that May (Rill) realized, when she finally got back to Arcadia again, that it was a necessary step (to go back) in order to let that life go & move forward with a new one. She had strength & vision beyond her years, that's for sure. I'm glad at least she and Fern were kept together & found a way to happiness. I couldn't figure where Avery's grandmother fit into the picture for the longest time ~ there were only three curly haired, blonde sisters that we were aware of throughout most of the story. It was an interesting twist when we find out the connection. I would recommend this book to anyone and everyone. It sounds depressing but it's actually quite riveting despite the content matter. The actions of this "Society" and the people who helped facilitate the stealing and trafficking of children, altered an incredible number of lives. It's almost surreal, but sadly not so. I'm glad authors research and write about the slimy parts of our communities so that maybe, by raising awareness, they won't ever repeat themselves again. What happened in these orphanages, should definitely not ever, ever reoccur.